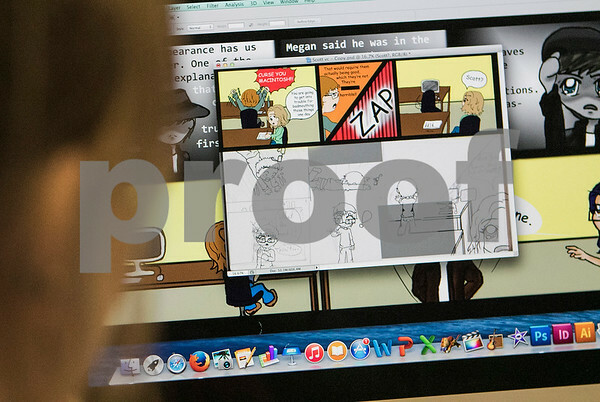 Kaleidoscope cartoonist Emma Wille, of Kingston, looks over a draft of her hand-drawn computerized comic in the newspaper office at Kishwaukee College on Thursday, April 23, 2015. The Kaleidoscope is now an online only publication produced by students in Susan Carlson's Publications Productions class. Wille posts a new comic every Tuesday.